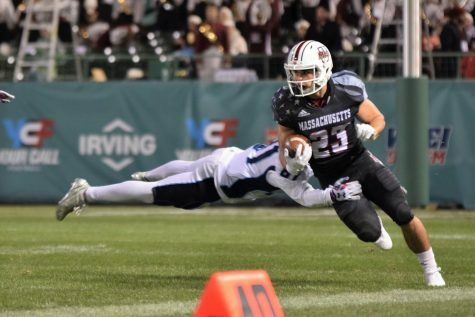 I honestly never thought this day would come; the day that I would confidently say that the Massachusetts football team will not only win a game this year, but more than one. Now before I get bombarded with boos and comments questioning my intelligence, just give me a chance. Then you can proceed to do your worst. 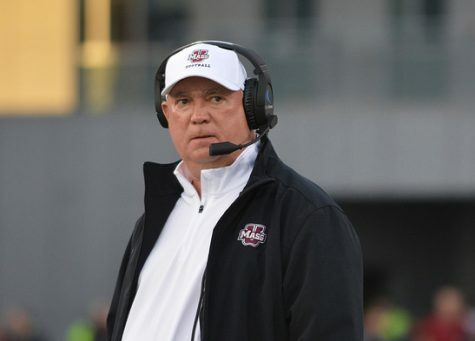 After three embarrassing losses to start the year – in which the Minutemen were outscored 145-19 – critics, including myself, began to question whether the Football Bowl Subdivision would ever be a good fit for UMass. Then, as if someone finally remembered to flip on the light switch, the Minutemen completed a sudden U-turn, going from a punch line to a ray of hope. 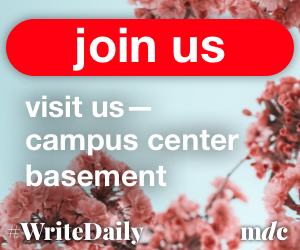 UMass has competed right alongside some of the most prolific programs the Mid-American Conference has to offer in Miami (Ohio) and Ohio. 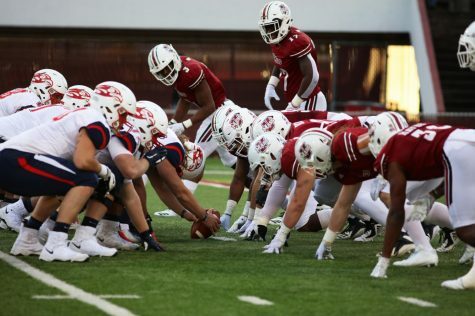 And last Saturday, the Minutemen not only competed with the Bobcats, but let a victory slip out of their grasps like an ice-cube on a summer day. 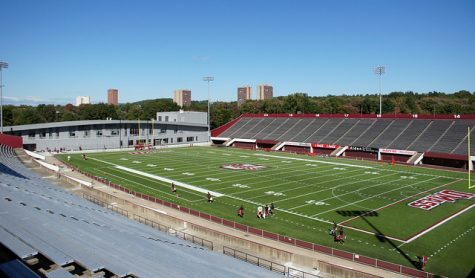 Despite the losses, UMass has outgained its MAC competition in yards in both affairs – 511-503 against the Bobcats and 471-408 against the RedHawks. But these games aren’t against the lesser foes in the conference. Miami is two years removed from a MAC championship in 2010, while Ohio is third in the conference in yards per game (472.6) and second in yards allowed per game (360.2). 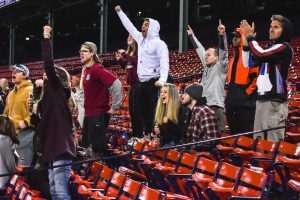 So it would be reasonable to assume the Minutemen will experience similar success, if not more, against lesser foes like Buffalo and Central Michigan. Now, some of you might be saying, “So what? A loss is a loss and always will be.” I know that no team wants to, nor should, be measured by the number of moral victories. 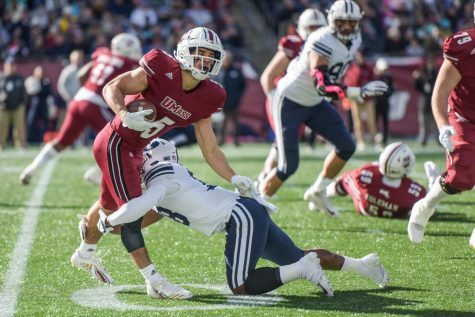 But considering where UMass started – a 37-0 pounding at Connecticut on Aug. 30 – it’s hard to continue to ignore the silver lining that keeps creeping out of the clouds for the Minutemen. 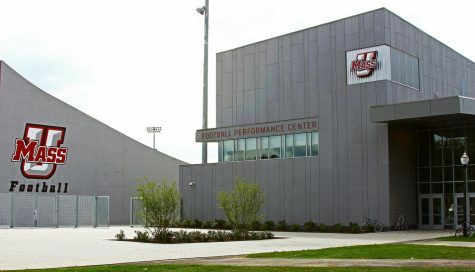 And it doesn’t take long to find the most glaring example of UMass’ continued progression. 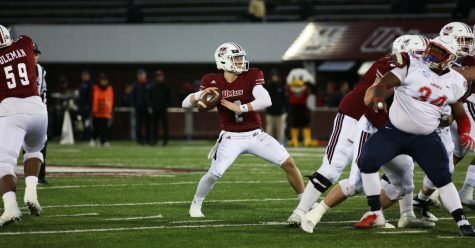 Redshirt quarterback Mike Wegzyn entered the year as an inexperienced and skittish signal-caller that might bear the brunt of the growing pains for the Minutemen in their transition season to the FBS. The speed and tenacity of the Huskies’ pass rush seemed to be a rude awakening and an unfortunate indication of what life in the FBS would be like this season. That all changed in a matter of weeks. Slowly but steadily, the Knoxville, Tenn., native started to gain control of the offense and embark on scoring drives. Wegzyn even showed signs of toughness by bulldozing towards defenders on quarterback-keepers for important first downs instead of giving up on the play and sliding. Then came the big jump against the Bobcats when Wegzyn finished 27-for-51 for 373 yards and four touchdowns. Coming into the game, the rookie hadn’t thrown a touchdown pass all season. Forget turning to a new page, Wegzyn’s performance made it look like he had breezed through an entire chapter. 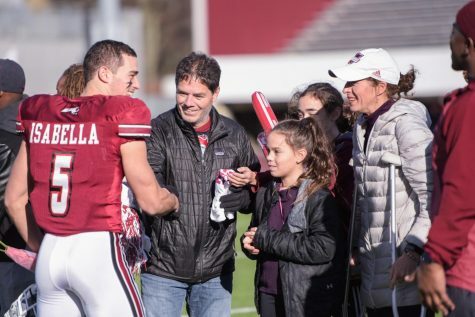 Entering the season, it was no secret to the coaching staff that strong quarterback play would be essential to the team’s level of success in the MAC. Last season, eight MAC quarterbacks averaged more than 200 passing yards per game and nine out of 13 teams averaged at least 30 pass attempts per game. The MAC is a quarterback-oriented conference and the faster teams find their primary signal caller, the better. It doesn’t matter if it’s Miami’s Zac Dysert, Ohio’s Tyler Tettleton or Western Michigan’s Alex Carder; strong quarterback play is as essential to a MAC team’s success as sneakers are to a basketball player. Sure, you could probably play in boots or some other shoe, but good luck keeping up. 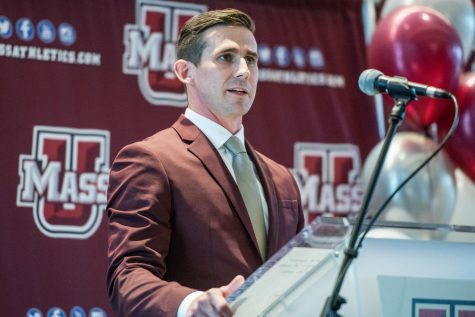 All indications are that UMass has found the guy to lead its offense in the present and the future. Therefore, it’s not unreasonable to think that the Minutemen will be in similarly close games as conference play continues. As Wegzyn has continued to evolve as a quarterback, he’s been able to establish a chemistry with his receivers that he lacked in his forgetful debut at UConn in which he amassed only 56 passing yards while completing only 9-of-22 passes. The rookie has been particularly dialed in with receiver Deion Walker, who transferred from Notre Dame after Charley Molnar took the job as head coach. The tandem connected 11 times for 162 yards and a touchdown. Many of the completions were timing routes, such comebacks on the outside, and jump balls that require trust in the receiver to go up and get the ball. Now before I get too far ahead of myself, Wegzyn is far from a finished product. I’m largely judging by the amount of progress I’ve seen from the Connecticut debacle until now. He’s still just shy of two weeks removed from a three-interception game at Miami, one of which came at the RedHawks’ 4-yard-line to put a stop to a scoring drive. And Wegzyn also had a chance with 50 seconds left to tie or win the game against the undefeated Bobcats but failed to do so after misfiring on multiple throws. However, it can’t be denied just how much Wegzyn has accomplished thus far in his first exposure to college football. Molnar said after Saturday’s loss that in previous games, he would only watch Wegzyn during an offensive series. After Wegzyn’s performance, Molnar said he could finally turn his attention elsewhere when evaluating the offense. If that doesn’t say that Wegzyn is the guy, then I don’t know what does.